Helps in Hair Fall Control. Use serum atleast 30 minutes before shampoo, for ideal results use overnight. Hair Fall Kit is designed to assist you with your treatment for hairfall. Hairfall caused due to lifestyle issues can be cured and we recommend you team this kit along with your chosen treatment after consultation with your medical practitioner. Made with some of the best quality natural anti-hairfall ingredients. This hairfall treatment is packed with organic pea sprout extract, lupine plant extract and bhringraj which are considered to be nature's best hairfall remedy. Use it 30 mins. 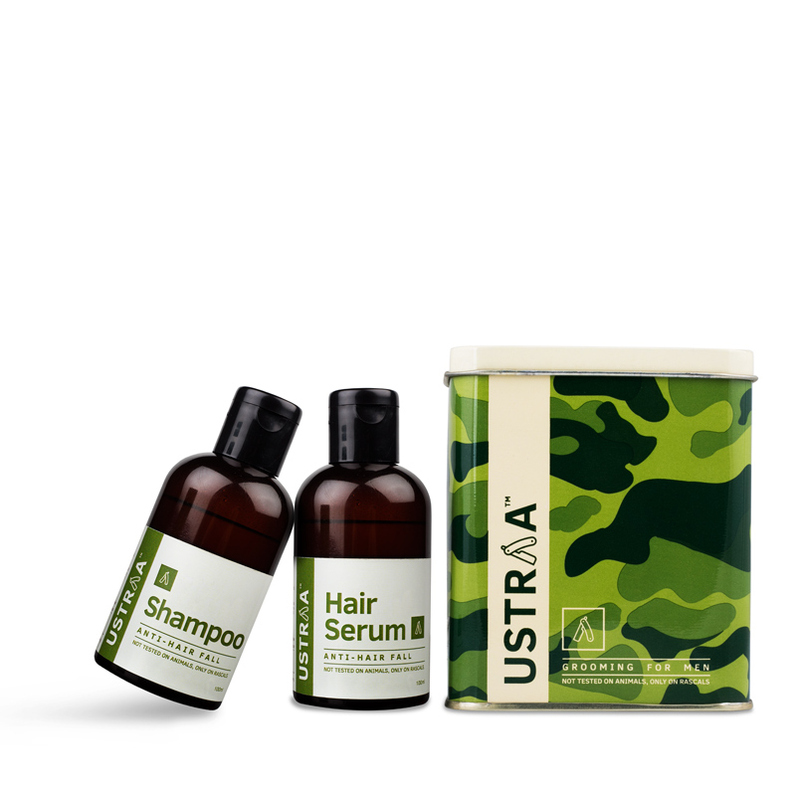 before shower or ideally over-night & wash with the Ustraa shampoo. Take a small amount and gently work out lather, massage till the roots of your hair & allow the shampoo to do its work by leaving it for a minute or two. Rinse thoroughly.